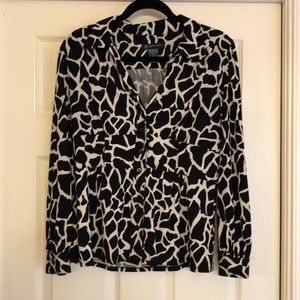 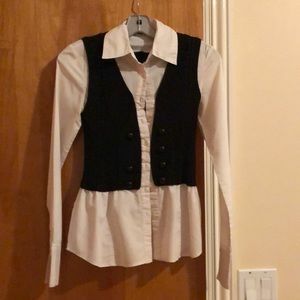 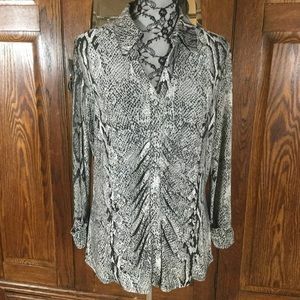 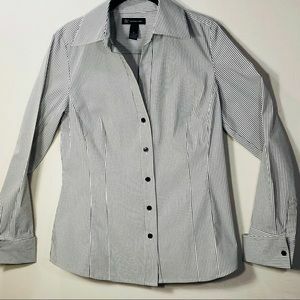 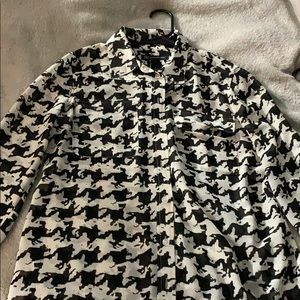 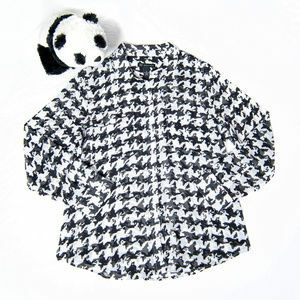 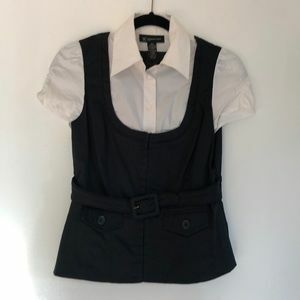 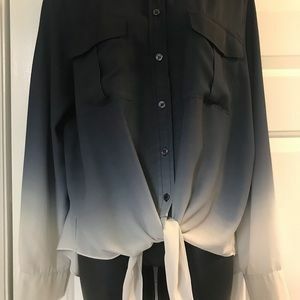 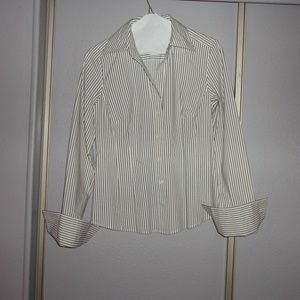 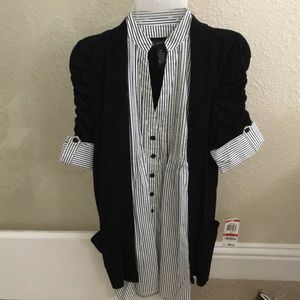 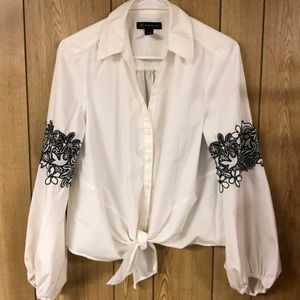 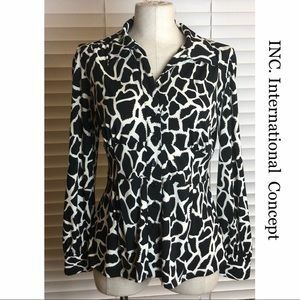 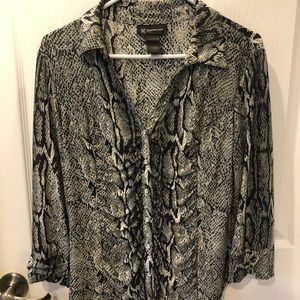 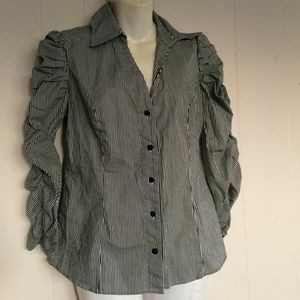 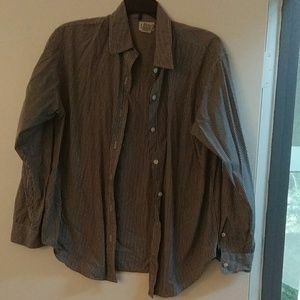 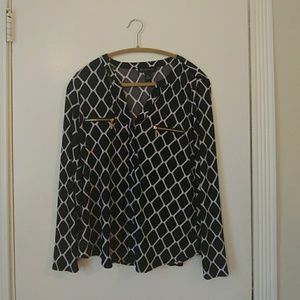 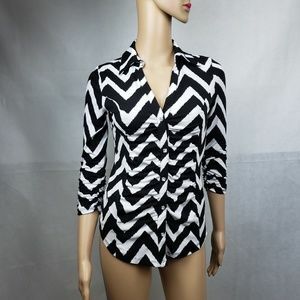 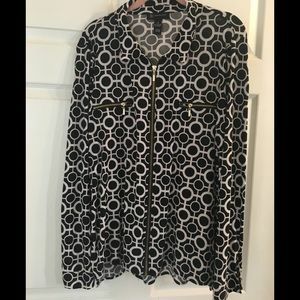 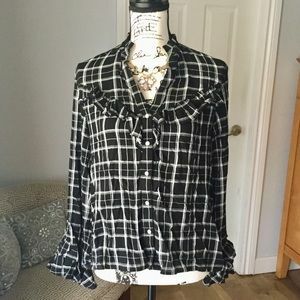 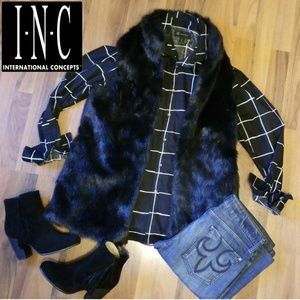 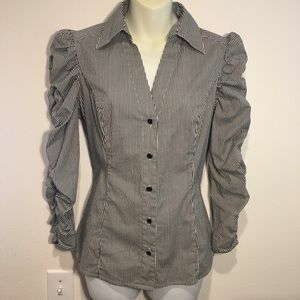 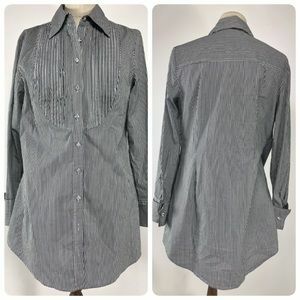 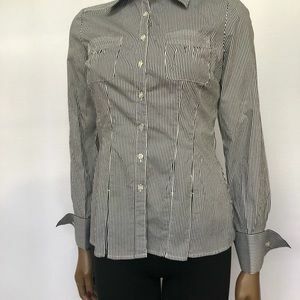 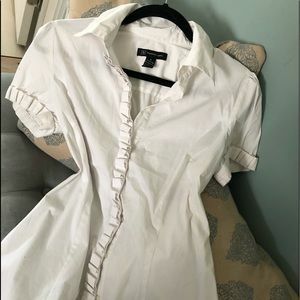 INC Button Down Blouse White/Black V Neck Size Sm. 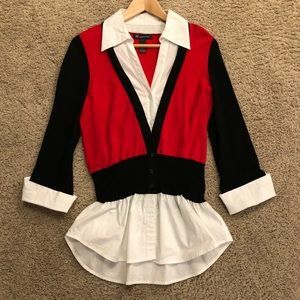 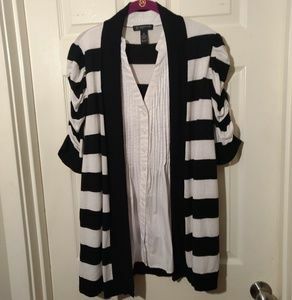 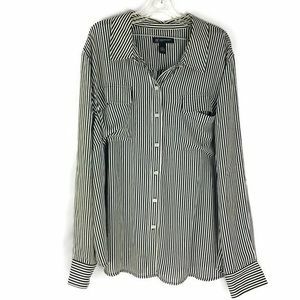 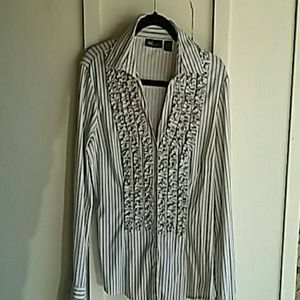 Black and white striped button down blouse. 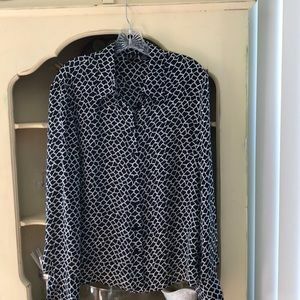 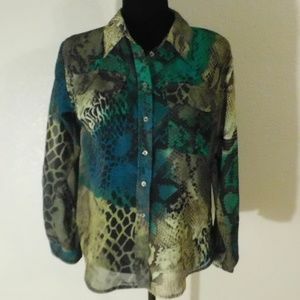 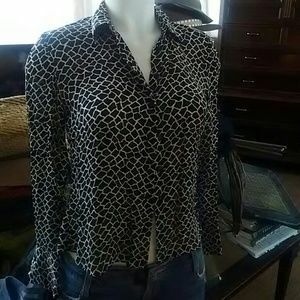 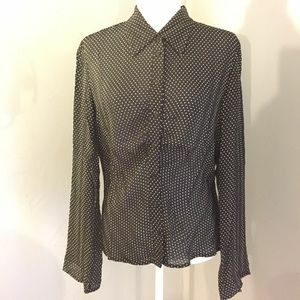 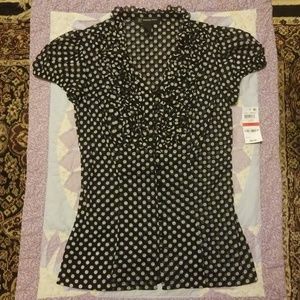 INC 100% SILK POLKA DOT SZ12 BUTTON DOWN SHIRT.